Ernest Cantillon is an ambitious young entrepreneur, making a real difference in the hospitality industry in Ireland. In this entertaining interview, Ernest shares his story of how he has brought many businesses to life over the past decade, the approach that has been largely successful so far, and his ambitions for the future. Ernest Cantillon is the owner of many thriving hospitality businesses such as Sober Lane and Electric. 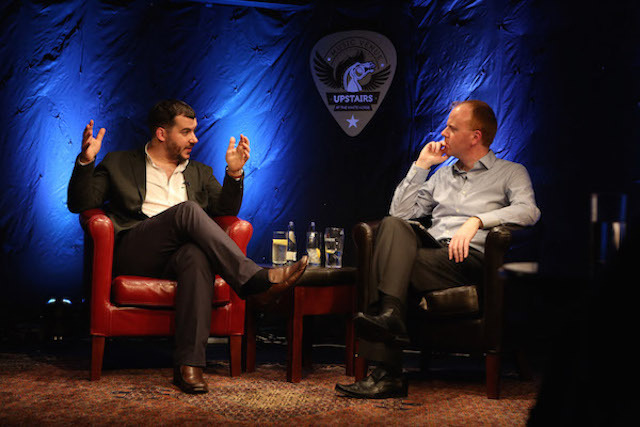 This conversation was recorded at a Smarter Egg event at Upstairs at the White Horse, Ballincollig, Ireland in May 2015. The video footage was filmed and edited by AV3 Productions. This entry was posted in Red Chair, White Horse on May 29, 2015 by Aodan Enright.